Low scores in standardized tests are known to correlate with the level of poverty in a community. 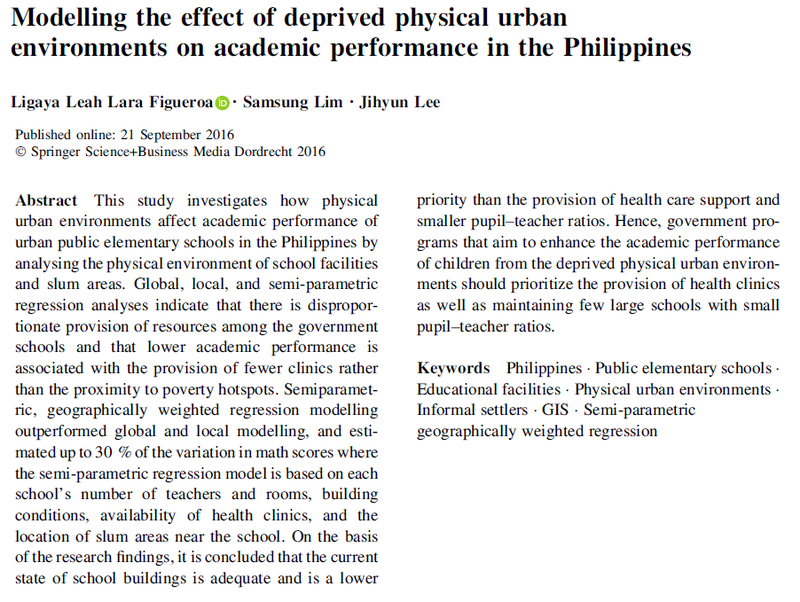 In the Philippines, where most pupils enrolled in public elementary schools come from poor families, the question is whether schools near slums perform worse than schools in less indigent neighborhoods. 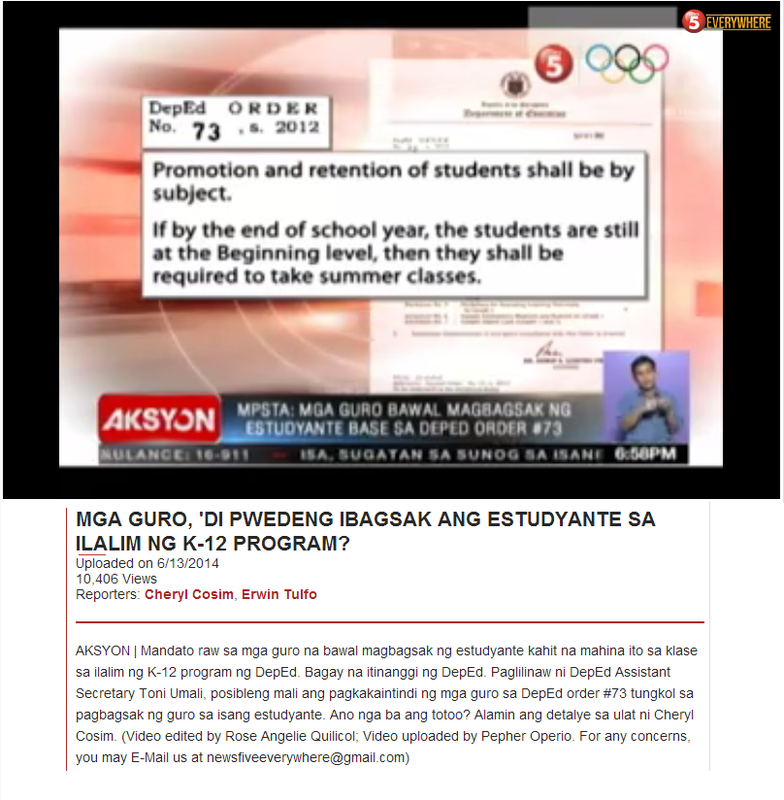 In the case of Quezon City in the Philippines, this is apparently true. A study published in GeoJournal finds that schools that lie closer to hot spots of poverty in the city score 3 points lower in the national math test than schools in less impoverished areas. This is not surprising. However, the study finds another factor that strongly correlate with math scores so much more than the number of squatters near the school. This factor is the presence or absence of a clinic inside a school. With a recent tweet from the Department of Education in the Philippines, the government may just have hit a good target for improving basic education in the Philippines. 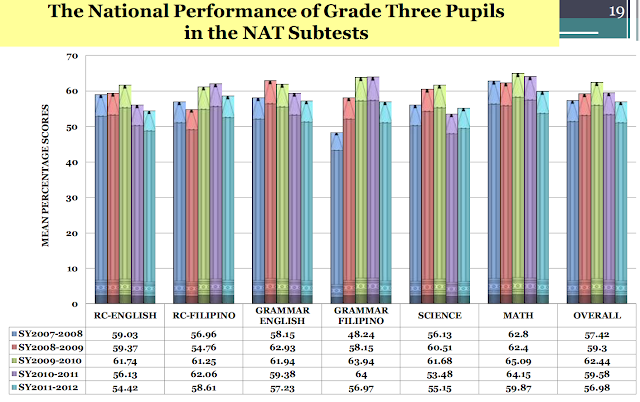 The researchers from the University of the Philippines and the University of New South Wales in Australia find that public elementary schools in Quezon City that do not have a clinic have lower math scores than schools that have a clinic. They also note that lowering the pupil-to-teacher ratio as another factor to prioritize. Poverty does impact education negatively. 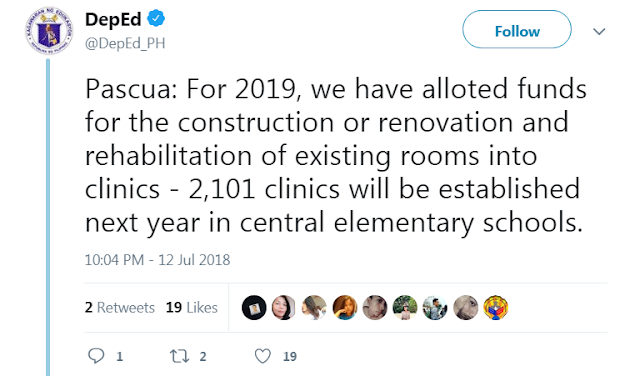 In the Philippines, it appears that not only should one consider the poverty level of the community but also the condition of facilities inside the school. A poor neighborhood and a poor school do not bode well for learning outcomes. 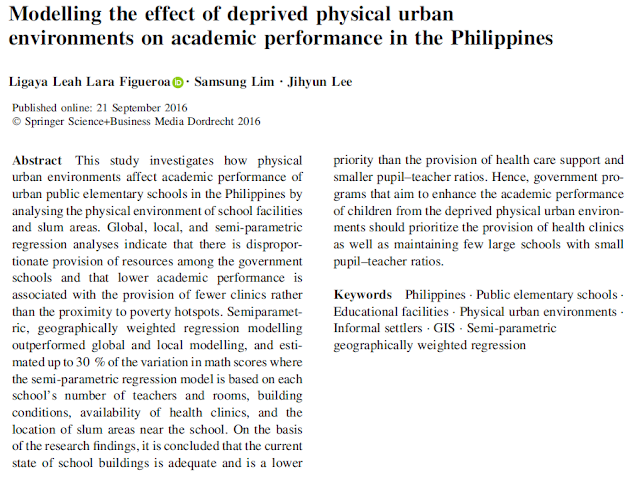 And in this study, it has been shown convincingly that "school facility size is a stronger predictor of academic performance than neighbourhood characteristics." And it is important that schools also respond to the physical and health needs of their students.